Even though estimated iPad 2 shipping times are better than they were following the gizmo’s launch, the online Apple Store still has a three-week wait on the iconic device. 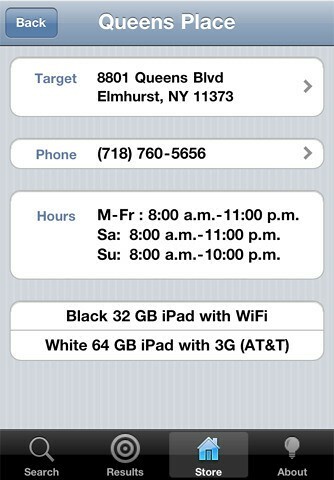 Buying it from third-parties is a time-consuming process as a lot of calls need to be made in order to figure out best iPad 2 availability at your nearby retailers. 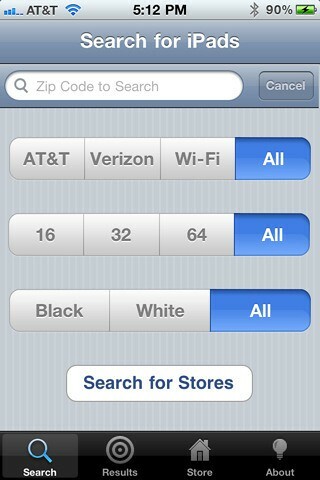 Why not save yourself valuable time and let an iPhone app search for the device for you? Yes, there’s an app for that. Debra L. Orton figured there’s an untapped market for such a program so she wrote FindOne, an iOS app whose only purpose is to help you find an iPad 2. It combs through third-parties inventory and presents you with the list of options for your chosen iPad 2 model that include store locations, opening hours and even distance from your current location. 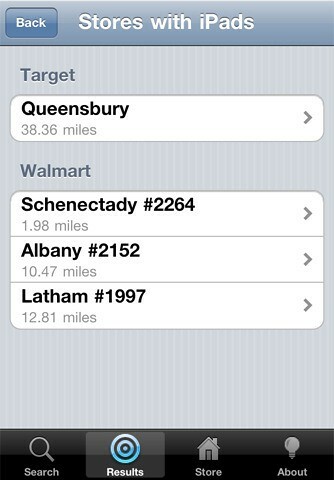 The app currently supports Target and Walmart and the developer is already at work adding Best Buy and Toys ‘R’ Us. FindOne is a free download from the App Store and it supports the iPhone, iPod touch and iPad.